From Ancient Times is a major work for brass band, inspired largely by the music of the Franco-Flemish School of the Renaissance. Hints of Gregorian chant and Middle Ages dances pay tribute to music from even earlier times. The foundation of this spectacular work rests on truly “ancient times” while the tonal language is of a much more modern nature. 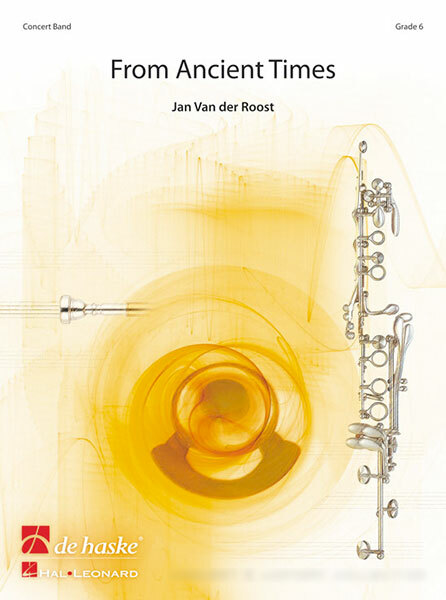 This article was posted in New Releases, Sheet Music and tagged Jan Van der Roost, sheet music, World of Brass on 3 May 2015 .